Creator of trailblazing wine label – Jauma – James Erskine sits down with CityMag to chat about his recent visit to his fastest growing market in the Northern Hemisphere. The ever over-achieving and completely-inventive James Erskine is also far-reaching. CityMag caught up with the head winemaker at Jauma and former chief judge of the Adelaide Review’s Hot 100 Wines upon his return from Nihon. Keen to learn more about the developing market and camaraderie he experienced while in Japan, we asked James to tell us about the Japanese embrace of simple processes and sustainable winemaking. What was the reason for your recent expedition to Japan? We have been working with a distributor for our wines (Jauma) in Japan since 2011 called Wine diamonds. The Japanese demand for Jauma has become strong so I thought I better get over there and meet some of the supporters. This was my second visit to Japan. In 2004 whilst employed as the wine steward at Penfold’s Magill Estate restaurant a friend of mine who was the Food and Beverage Director for the Grand Hyatt Tokyo sent his sommelier over to train with us at Penfolds’. Later that year I was heading to California to undertake a years’ university exchange program at the University of California Davis campus so I took up an invitation to spend a week working with the sommelier team at the Grand Hyatt Tokyo. What was your immediate reaction to the country? Tokyo I found surprisingly intimate for a mega-city with lovely suburban vibes outside of the CBDs. Outside of the city it was beautiful to see a country that prides itself on eating seasonally and focuses on high quality fruit and vegetables that demand a higher market price but with an accepted limited availability. Did your first impressions change after you’d been there for a while or when reflecting upon the trip now? Wine isn’t something Australians might necessarily associate with Japan but you say there’s a thousand years of grape-growing history. How is this tradition being interpreted in wine making presently? Grapes are grown all over Japan but are mainly farmed for eating. There are records of grape growing in the Katsunuma district of the Yamanashi prefecture (2hours south of Tokyo by train) that date back a thousand years plus. Today most of Japan’s wine seems to come from Yamanashi and it’s neighboring prefecture Nagano as well as Yamagata and Hokkaido. The Katsunuma region within Yamanashi has its own “traditional” variety Koshu as well as grapes we grow in South Australia such as Chardonnay, Merlot, Pinot etc as well as hybrid varieties such as Delaware and Muscat Bailey which are well suited to warm and humid environments like mid-west USA and Yamanashi. As with many wine regions the world over, traditional varieties are being strongly focused on after a decades of neglect. Koshu vines are farmed in a pergola fashion. This means the vines are trained to form a lattice as you would on a back yard pergola and the fruit hangs down. Stepping into a vineyard I realised my height would make life hard for me in Yamanashi but not deterring. Before my recent visit I had tasted a number of Japanese wines of both traditional and European varieties which I found enjoyable but more of a curiosity. On this visit the first wine poured in my glass was in a fabulously isolated, mountain house, 1000m above the Katsunuma wine growing district. My hosts were just getting into wine and opened a box of local wines letting me choose where to start. One wine took my attention immediately. It was a modest pink, cloudy and was bottled in a sparkling bottle with a crown seal. The label was beautiful, the wine was lightly sparkling (what we would call methode ancestral or petillant naturelle i.e. allowed to finish fermenting in bottle and cloudy like a Coopers beer) and was full of energy and deliciousness. As the evening progressed we sat cross-legged around my hosts’ open fire pit/grill in the middle of the living room, slowly grilling off a selection of local vegetables and meats and working our way through most of the box of Katsunuma wines. I was hooked. In Japan like in Australia there is a rise of small producers focusing on unique styles of wines and there is a growing market welcoming them and their forays. The following week I toured Tokyo, Nagoya and Osaka with my distributor to meet some of the restaurants, bars and bottle shops who were supporting our wine label Jauma. The wine scene was really no different to what we see here in Australia, which is when you know where to look you can find anything. Something Australian’s are not acutely aware of is just how incredible the diversity of wines imported into Australia is. I tried only to drink Japanese wines and was so impressed. 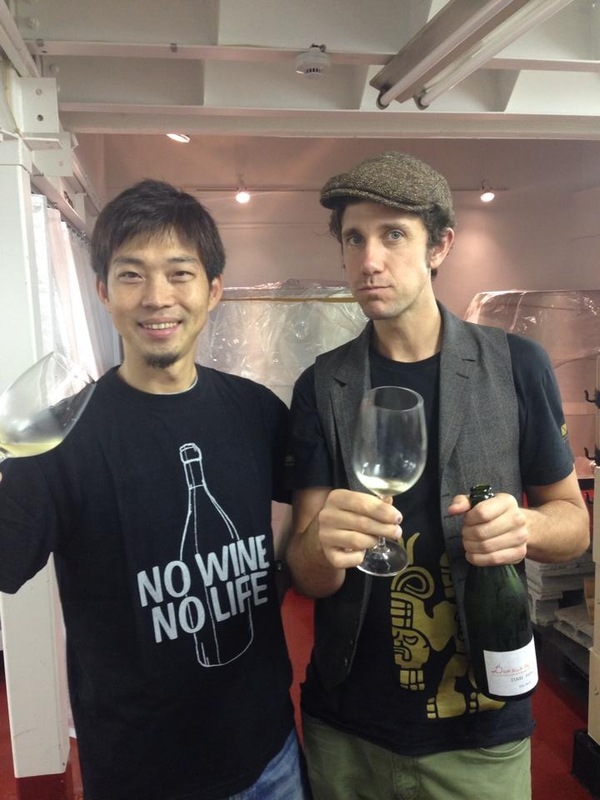 In Japan like in Australia there is a rise of small producers focusing on unique styles of wines and there is a growing market welcoming them and their forays. Are the wines of Japan that are made from more traditional and familiar European varieties presenting how you’d expect or is there still something different about them? Something uniquely Japanese? The physical region where the grapes come from and that region’s cultural view on how things “should” taste. Each of these three areas can speak louder than the other depending on where, what and who. So, yes there are familiar varieties on the shelf in Japan which, when you drink them, they taste familiar. But there are also regional and winemaking “flavours and textures” that morph the familiar! 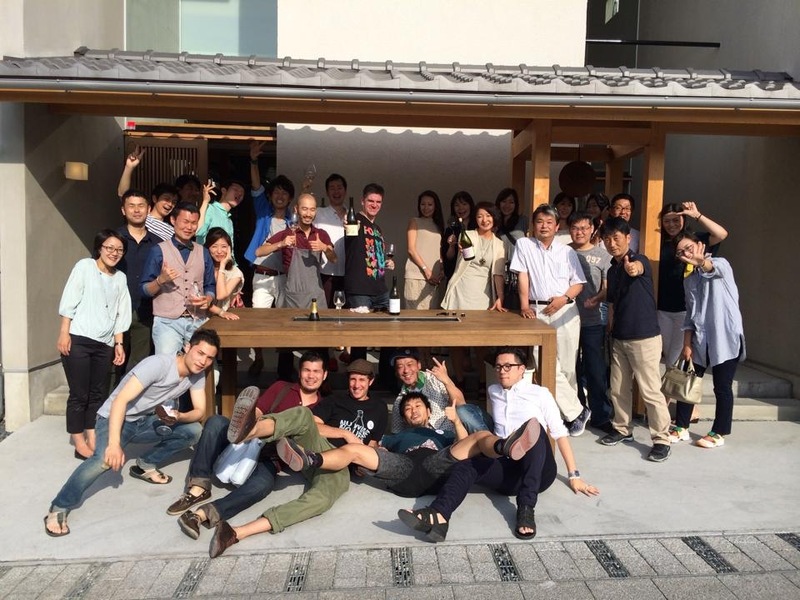 Jauma is a leader and key exponent in South Australia of the natural wine movement and you said it was awesome to see how Jauma is being received in Japan. What was some of the feedback from Japan that you really appreciated? The most important reinforcing I took on board was to remember to always be honest to myself and to be comfortable with who I am and to continue to strive to produce wines that interest me and that I want to drink. Thereby I am producing my own style and not mimicking or aspiring to be like others but only to be me. What sort of distribution does Jauma enjoy in Japan? How many cities can the locals enjoy the unique taste of South Australian produce? Jauma’s total production is 2300 cases of wine per year and we do not plan on growing this much. Japan receives 20% of our production. Due to the small volume and high demand in Japan the wines are allocated prior to arrival between buyers in Tokyo, Nagoya, Osaka and Kyoto. There is plenty of room for Jauma to grow in Japan but more important to me is to have our wines enjoyed in our backyard so we will continue to focus more and more on South Australia while nurturing other markets.